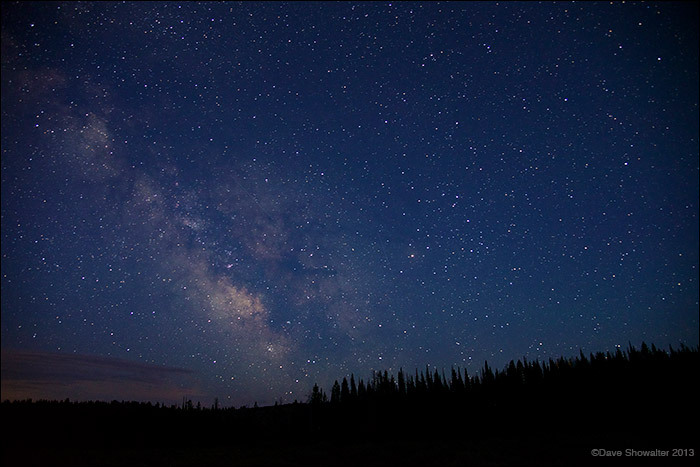 The Milky Way over forest in the Upper Hoback River Valley on a typically clear night in noerthwest Wyoming. The Upper Hoback was leased for industrial scale natural gas drilling - the grassroots opposition group Citizens For The Wyoming Range won an important victory when The Trust For Public Land purchased the leases and retired them forever. The land has been returned to the American people, forever wild. Photo © copyright by Dave Showalter.